Following a few weeks of low volatility, things look like we’ll have a lot of activity in April. We’re in the morning of the second day of the month and already all major cryptocurrencies had started to break higher impulsively. As we’ve mentioned in our last weekly crypto analysis, Bitcoin had to face a strong resistance area, formed by the upper line of a triangular structure + the $4.187 – $4,236 area. 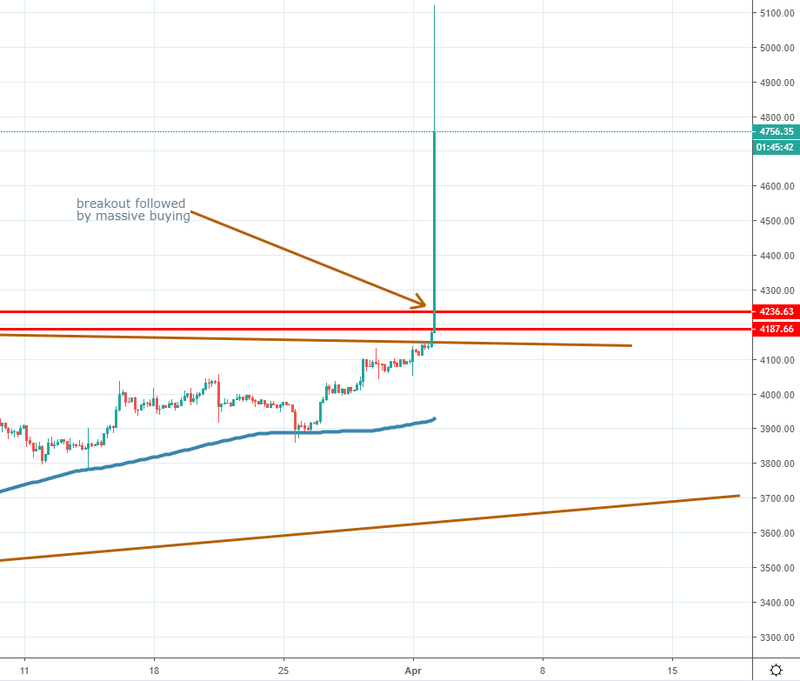 At the time of writing, Bitcoin is trading at $4,750 on the Coinbase exchange, after making a high little above the $5,100 area. We did not manage to find any significant news that might have supported such a strong break, which means the only reason is that buyers stepped in aggressively and cleared a lot of stops, which triggered additional buying. Right now, we think the price action had overshoot, and traders sitting on the sidelines should remain patient and see how the price action will continue to unfold. For the third time in 2019, Ether had managed to reach the $157 area, although the price is currently retracing lower. Since the system update, that went live since February 28th, Ether is up by almost 20% and April seems to look like another positive month for the second largest cryptocurrency. With $15.8 billion in market cap and 5.24% gains in the past 24 hours, Ether is consolidating its position as one of the most important cryptocurrencies. It will be interesting to watch how the price action will behave around the key $150 area, since that will determine whether more upside lies ahead, of if we will see a greater retracement lower, before a new push higher. Is it pump and dump again? This is not the first time when cryptocurrencies spiked higher in the short-term, only to give up all the gains in the medium-term. 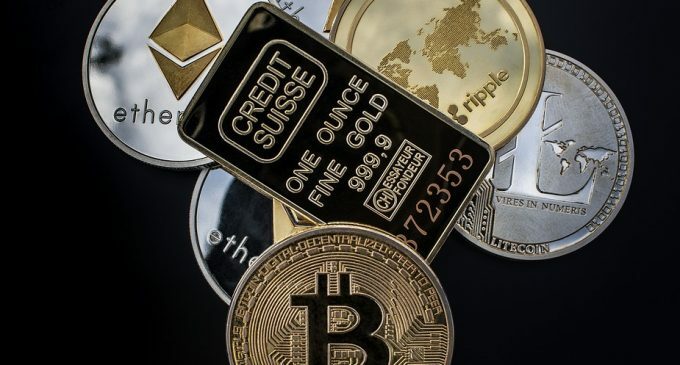 Widely known as “pump and dump” schemes, these operations aim to trap late buyers into the market and use them as liquidity so a few large cryptocurrency holders will be able to sell their holdings. There’s no absolute certainty the same thing happens right now, but traders who missed the spike higher should remain on the sidelines and see whether the current valuations are able to be supported, or if stronger selling pressure will emerge in the next few days. Since the move is not backed by any important news, that raises questions about the reliability of potential additional buying.